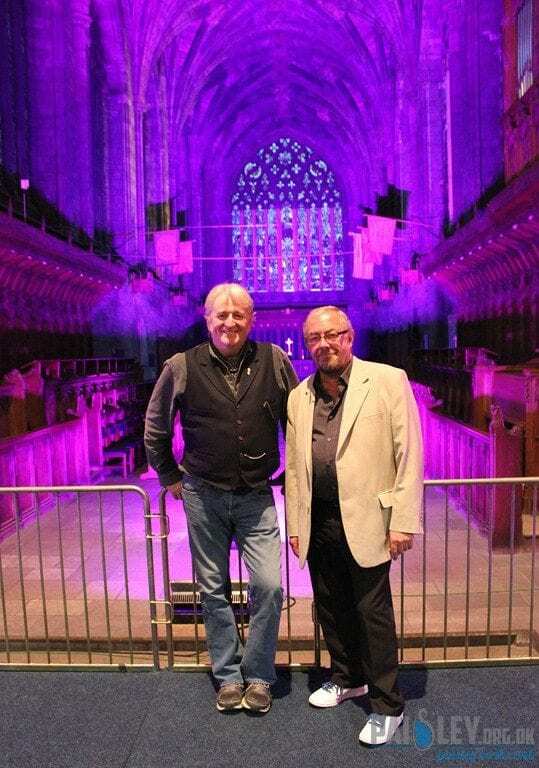 Phil Cunningham and Aly Bain entertained a full house in Paisley Abbey last night with their usual brand of humour and excellent music. Having only just returned from a flying visit to Canada they were in good form despite admitting to some jetlag! They gave a virtuoso performance of a variety of music old and new, one tune written by Aly as a Christening gift for a baby in Shetland and another by Phil for a friend’s birthday. The music were interspersed with stories about their exploits during 25 years of travelling and playing together, including the occasion when Phil’s fingers were trapped in a car door on last year’s tour, resulting in a broken pinkie! Make sure you don’t miss a great night of entertainment when they make their return visit next year.